The Philippines is not only blessed with vast natural resources, breathtaking landscapes, superb natural wonders and pleasant weather all year round. Our country is also gifted with industrious, beautiful and talented citizens. We may not be as large as the population of China and India but we surely made our presence visible throughout the World. Who said you can't grow fish and fresh vege's in the city? With passion, little space and the knowledge you'll learn from the manual that I'll share here, any city dweller can now enjoy their own production of fresh fish and vegetables using the technology called Urban Aquaponics. The potential to engage in business is highly probable as well. This material in PDF form can be downloaded for free, no obligations, no string attached. People seem to have the misconception that only a select few are able to unleash a steady flow of creative genius. That is not true at all. Unless you we’re born with a size of a pea brain … then you’re screwed. “Tigas ulo, li-it utak! The book Science of Getting Rich was written by Wallace D. Wattles and published in 1910. One of his famous and I must add fascinating book. Though Mr. Wattles lived in poverty most of his life, he was prosperous in the later years of his life, after this book was published. Stop following --- start Leading! When you are at work, do you get frustrated because things don't seem to be happening the way they’re supposed to be? You see people milling around but nothing gets accomplished. And in the daily hustle and bustle, do you feel that your goals remain just that – goals. Then maybe it’s time for you to stand up and do something about it. We always hear people complain about corruption in our government, the cheating, the scandals, the red tapes and what have you. Most of us are convince that we are forever doomed to this kind of situation and that our economy is a hopeless case. One of the great and successful entrepreneurs our country has ever seen I consider to be one of our unsung heroes. Allow me to share a piece of Mr. John Gokongwei Jr's. life story. He is one of the great and successful entrepreneurs our country has ever seen. A good example of empowering our mothers are programs such as CLEEP. Image below. However, we must not settle with providing information on technological aspect. We must also reinforce education in terms of mindset reform. Technical knowledge is one thing. But training the mental character that withstand difficulties and challenges is one important factor that must be included in the program to properly empower our citizens. So you want change? Really! The children's minds are like clay...with adequate guidance and support, they can be molded into any shape or form. With proper mentoring...they can grow to become outstanding citizens. Bad upbringing can turn them into a menace in the society. Parents are their role model...Mothers greatly influence their character. If we fail to empower our mothers...our society will face the daunting task of curtailing unruly citizens. Our country is also gifted with industrious, beautiful and talented citizens. We may not be as large as the population of China and India but we surely made our presence visible throughout the World. Practically in all fields we have our expertise. From White House, NASA, Wall Street to the Silicon Valley and even Disneyland. Link to my Natural Health Blog Here .... Slow-Down-Your-Aging for real! Born and raised in Davao City, I move to NY in the 90's and started my career in the health care industry. After years in service I’ve seen the good, the bad and the ugly … along with my small family I'm ready to retire, pack my stuff and head back home. My target destination this time will be Davao City, Davao Del Norte, Gen San City I love fish, the beach, the country side and everything the nature has to offer. To Mount Apo, after 30 some years, I shall climb again! OHYET -- Outstanding Youth and Housewives Empowerment Talk. 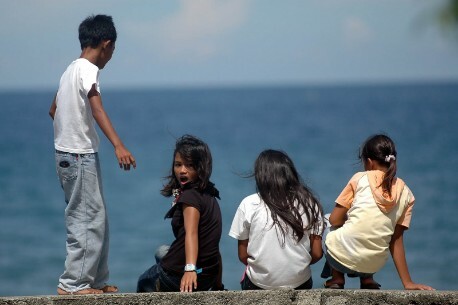 This Blog talks about informing, educating and empowering the beneficiaries of Filipino OFW's. Focused on the positive side of the Philippines, particularly in Mindanao, the beautiful places, the resources, the Filipino talents, cultural traditions and business opportunities available for everyone aspiring to engage in business. The goal is to contribute positively to our country and proactively engage in exchange of ideas to empower our mothers and youth. To be able to share marketing expertise, share some technological information and ideas for small business especially to Filipinos working abroad who are coming home for good and wanting to start a sustainable livelihood. This Blog also promotes moral values, encourage strong positive mindset instead of complaining, blaming and pointing fingers. I spent my 25 years of life in the Philippines and 75% of those times where spent in poverty. Compared to the 17 years of “somewhat lavish lifestyle” here in the USA, my desire is to spend the rest of my life in the Philippines and make a little difference. I love my country, your country, our country! Let us be mindful of our youth because our country's future is in their hands ... but most of all let us honor the Mothers who provides solid foundation for our children. If we want to empower our youth for a brighter future of our country...we must begin with our Mothers! " Want to Earn $ 4/referral? it'll eventually come with goodies.